The resurrection of the dead was, as Tertullian says, ‘the chief article of the whole Christian faith’ (De resurrectione 39.3) and one of those beliefs which most distinguished Christian thought from much other contemporary thinking. 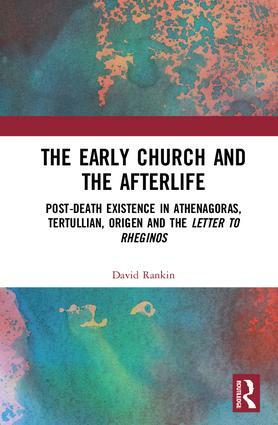 This book looks at the way in which post-death existence is represented in the work of the early Church Fathers - notably Athenagoras, Tertullian, and Origen - and the Letter to Rheginos, and how these representations compare with its treatment both in Scripture and in contemporary, modern theological reflection. Examining these attitudes to life after death, and putting them into conversation with more modern interpretations, the book asks four main questions. Firstly, whether resurrection happens immediately after death. Secondly, if there is continuity or discontinuity of space and time between death and a resurrection life. Thirdly, it explores whether post-death existence was thought to be embodied or not, and if so how might it be embodied. Finally, it addresses the issue of continuity, or discontinuity, of personal identity after death. This book sheds light on the formation of a key doctrine of Christian faith. As such, it will be of significant interest to scholars and academics working in the History of Religion, Theology and Patristics. PART 1: Moving from death to resurrection: stages and continuity? 2 Do we pass through stages? 3 Is there a gap? PART 2: Will I have a body and is it still me? David Rankin is an Ordained minister of the Uniting Church in Australia, and has served as both Principal of Trinity College Queensland, Australia, and Head of the School of Theology at Griffith University, Australia. His publications in the field include From Clement to Origen (2006) and Athenagoras (2009).